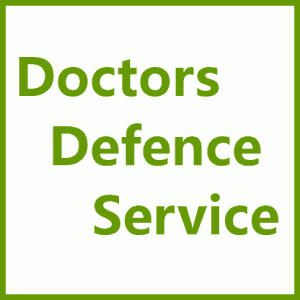 Doctors Acting as Expert Witnesses | Doctors Defence Service – UK. Medical doctors may from time to time consider acting as an expert witness in the courts and tribunals in the UK and abroad. The GMC has issued guidance to doctors who act in the capacity of expert witnesses: GMC Guidance for Experts (pdf) and there are additional duties according to the court or jurisdiction the doctor is appearing in. By way of example, in England and Wales, expert evidence is governed by the Civil Procedure Rules (Part 35) and Criminal Procedure Rules (Part 33), which experts must observe. See also the GMC’s general guidance for doctors called as witnesses in legal proceeedings (pdf), where doctors are not being called as an expert but are giving factual evidence, say for example connected wth the care of a patient they had responsibility for on a shift. Experts will also need to be aware of the permissible communications and contact that they can have with the party instructing them, and the duties of care and liabilities of being an expert witness. Ideally, an expert should undergo expert witness training, before providing an expert report or providing expert testimony. There are a number of organisations that provide suitable training in the UK. Training should be in the writing of reports, and the delivery of oral testimony, at the very least. Doctors must ensure hat they are competent in the area of practice or on the subject they are commenting on. See our articles: Doctors Must Truly Be Experts in Their Field and Expert Witness Doctors Can Be Subject to GMC Disciplinary Proceedings.